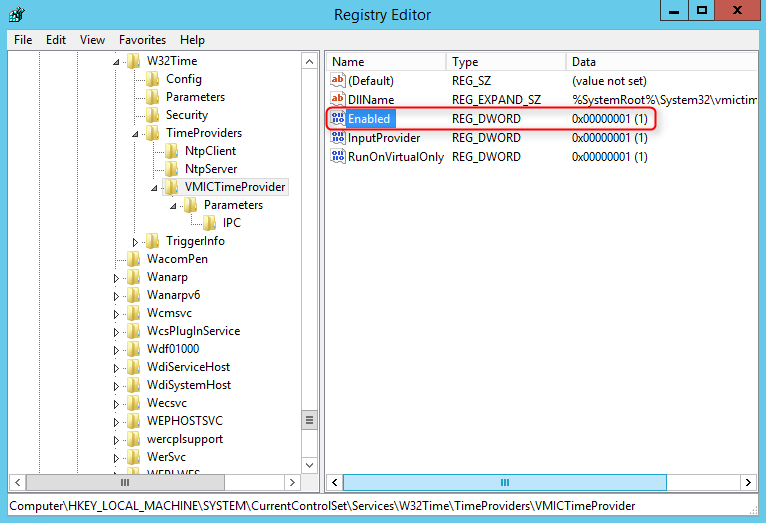 Normally, Windows Time service of domain member servers synchronizes a domain controller in domain environment. 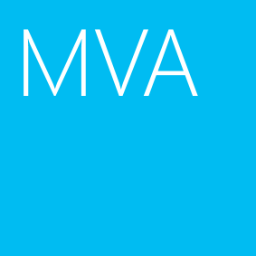 However, domain member servers are under virtual machine environment (Hyper-V). Virtual machines synchronize them time with the Hyper-V host server because the "Time synchronization" of "Integration Services" is enabled in virtual machines. To verify the setting, we can log in as local administrator of a domain member server and then perform the "w32tm /query /source". Now, the domain member server is synchronizing the time with the Hyper-V host server. 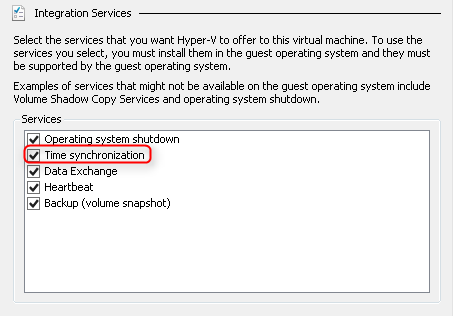 According "Time Synchronization in Hyper-V", the "Time synchronization" of "Integration Services" should be enabled in virtual machines. However, administrators can update the registry in virtual machines to stop W32Time from using the Hyper-V time synchronization integration service for moment-to-moment synchronization. 1. On TM01, log in as Local Administrator. 4. On right pane, double-click "Enabled". 5. 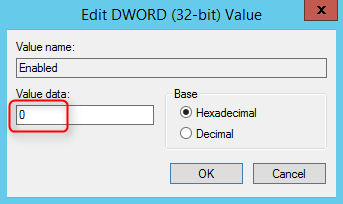 Next to "Value data", change to "0". 8. Launch "Command Prompt" as administrator. 9. Perform "w32tm /config /syncfromflags:domhier /update" to update the setting to synchronize the time with a domain controller. 10. Perform "net stop w32time & net start w32time" to restart the Windows Time service. 11. Perform "w32tm /resync /force" to force synchronization. 12. Perform "w32tm /query /source" to verify the result. As a result, the domain member server which is a virtual machine synchronize the time with a domain controller.